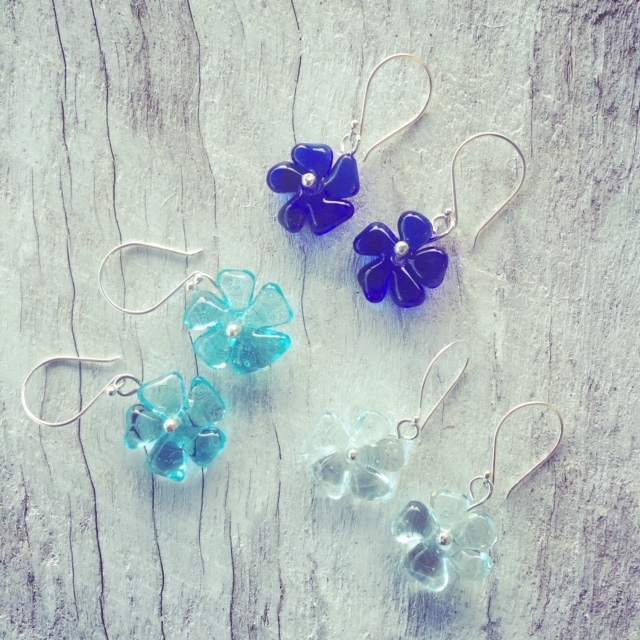 I’ve been busy making a bunch of glass flower earrings. This is the blue selection in recycled glass. Flowers made from Skyy Vodka, Bombay Sapphire Gin and Banrock Station wine bottles. I’m happy to take orders for Christmas now. These earrings can be made with any colour glass.